Chinatown in Downtown Honolulu, a place to visit on Hawaii vacations on a budget. Who plans Hawaii vacations on a budget? Some may not want to; but many have to out of necessity. Travel to Hawaii may be more expensive than traveling to other places in the US or internationally. 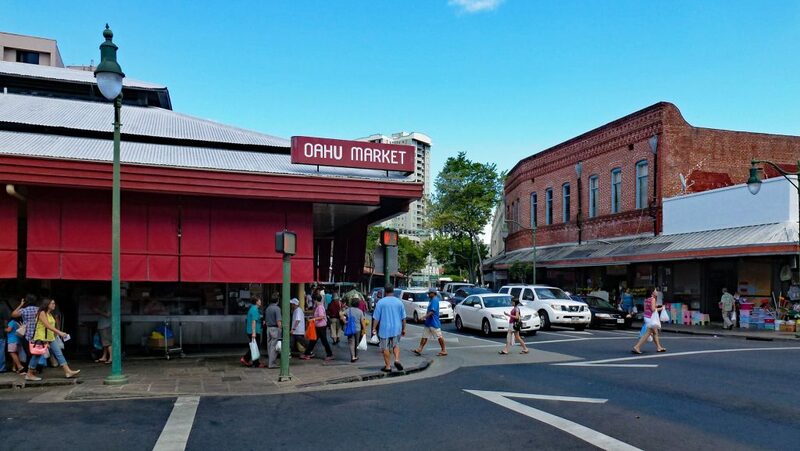 However, visitors to the Aloha State can take their travel dollar a little further through some cost cutting strategies. It is no fun returning from vacation and then contend with the stress of paying a big credit card balance. To this end, here are ideas for planning Hawaii vacations on a budget and still have a lot of fun. If you can be flexible with your travel plans, then consider traveling to Hawaii in the off-peak seasons. Typically, these are the periods after the New Year’s holiday and before spring break and after Labor Day and before Thanksgiving. Not only will this reduce your travel costs, but you will generally have less crowded conditions to contend with. This may be on of the most important way to plan Hawaii vacations on a budget. Hawaii is replete with free or low-cost activities ranging from picturesque beaches and hiking trails to national parks, monuments and memorials. Whether you are interested in nature, history, art or social attractions, there are many options to select from. Plus, if you already have a National Park Service annual pass, you won’t have to pay anything to enter these areas. 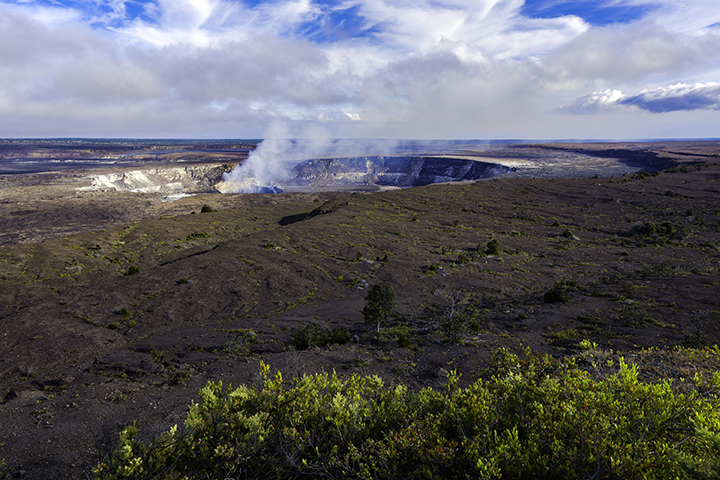 Examples include: Hawaii Volcanoes National Park, Haleakala National Park and the Pu`uhonua O Hōnaunau National Historical Park. By staying at a condominium or by renting a vacation property, you can save money by cooking your own meals. You can even save more by preparing take out meals, sparing you the expense of eating out. Plus, you can probably comfortably accommodate your entire family by staying at a condo or vacation property. This could save you the expense of staying at a larger hotel room or by having to rent another hotel room. Many of these places also have places where you can do your own laundry at fairly reasonable rates. This spares you the effort of carrying more luggage and the costs of additional airline baggage fees. Generally speaking, the further out you book, the more likely you will be able to save on airfare, hotels and rental cars. Booking in advance gives you the opportunity to monitor the pricing of airfares, rooms and cars. By doing so, you can better determine when you want to book your vacation packages. Hoteliers and rental car companies often give online travel agencies discounts when selling such inventories in packages. Such savings, in turn, are passed on to customers such as yourself. So take advantage of this. You can do this by comparing the cost of Hawaii vacation packages to the total price of all individual components. Taking advantage of free activities is great. But there will surely be things that have at least some cost. To defray such expenses, keep a lookout for brochures. They often have coupons or package discounts for a variety of activities. You can find such brochures at your hotel, rental car companies or where tourists congregate. You can even purchase Hawaii coupon books which offer discounted prices to many activities and attractions. Not only will this make traveling easier and more convenient, by taking only one carry-on bag person can save you a lot of money. Many airlines charge at least $25 per checked in bag and more if you have more than one bag per person. Furthermore, that is for only one leg of your trip and for each person. This can add up to some big bucks if you’re traveling in a large family group.